It is not compulsory to have Boat insurance, but most owners do take out some boat insurance to help cover their large investment in the craft. You will need to note, however, that some harbours, marinas, or water authorities insist on third-party insurance cover of at least £1 million as a minimum if you are to be allowed to moor your boat. First time boat users should be aware that boat insurance premiums can vary depending on their experience. 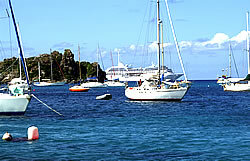 Type of boat, current value, and the current location of the boat can also affect the premium the boat owner should expect to pay. Ensure all items within the boat are locked away as your boat insurance may not cover you for items stolen that were left on the deck. This is also the case for motors - ensure they have adequate locks. As with all insurances, check through the small print of the boat insurance cover to make sure you are purchasing the cover you think you are. Most policies will cover for damage, sinking, collision, theft etc, but make sure this is indicated in the policy document. 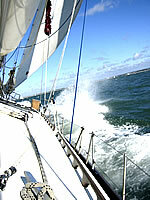 Commercial use of a boat is not normally covered, unless agreed at the time the policy was taken out. Remember that insurance policies, as with cars etc, will expect you to act responsibly and take care of your boat and not to act negligently. They may become void if you do act in a irresponsible nature. Take a look at our Guide to Insuring Your Dinghy or Guide to Insuring Your Yacht for further information. Noble Marine are specialist insurance brokers providing boat insurance for most types of pleasure craft. Quotations and cover can be provided on-line, any time of day or night, for most classes of dinghy , sailboard , RIB , speedboat and rowing boat. Craftinsure stands for instant hassle free insurance for your boat, without the forms or delays, available 24/7 at a time to suit you. Aimed at UK citizens with UK based boats valued up to £175,000, the craftinsure website offers quick and competitive quotations and allows customers to download proof of cover immediately upon purchase of a policy on the net. Based in Brighton, Navigators and General has been at the forefront of yacht and motorboat insurance since 1921 and has been the market leader in this field for over 80 years. Navigators & General is part of the Zurich Financial Services Group and Financial Ombudsman Service, providing policyholders with world-class security. Today, Navigators provides cover for vessels with a total value in excess of £750,000,000.